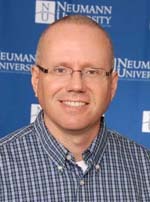 Dr. Kruse is an assistant professor in the Theological Studies Department at Neumann University. His lecture, which will be taking place during Holy Week, will focus on his book, Lent and Easter Wisdom from Pope John Paul II. The book features the late Pope’s thought-provoking words, leading readers through a journey of conversion throughout the season. This event is free and open to the public. Copies of Dr. Kruse’s book will be available for sale. Karol Wojtyla served as the supreme pontiff of the Catholic Church from October of 1978 until his death in April of 2005. After his death, Villanova University’s Office for Mission and Ministry held a panel discussion on the legacy of Pope John Paul II’s papacy. In subsequent years Falvey Memorial Library has invited a speaker to campus each spring to discuss some aspect of the impact of the second-longest documented pontificate. The event, held in the Library at the heart of Villanova University’s campus, is called the Pope John Paul II Legacy Lecture.